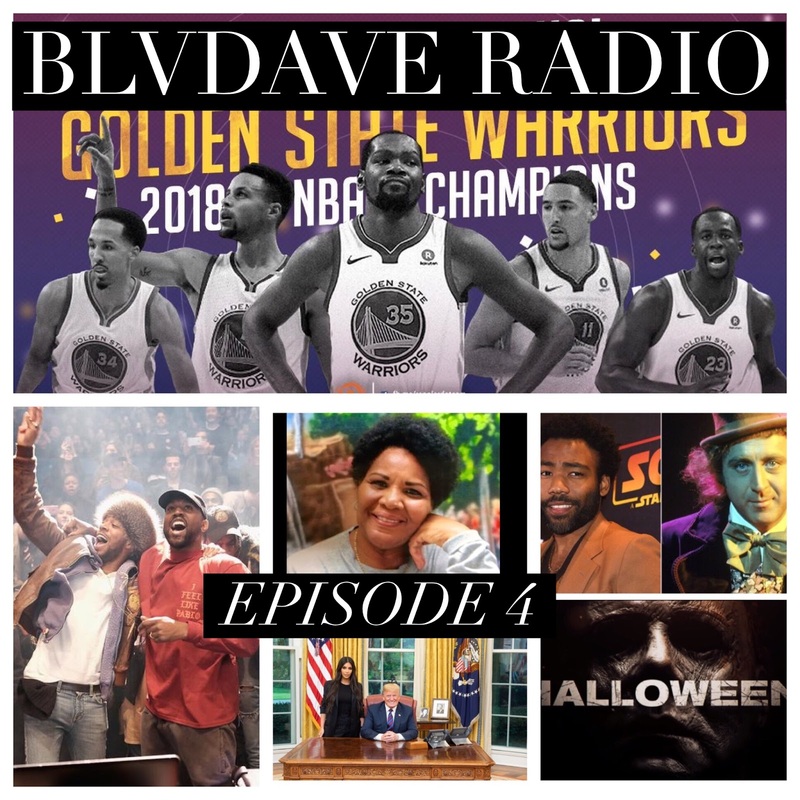 Welcome to BlvdAve Radio Episode number 4 !!! Check out this episode to hear our live reactions to the NBA FINALS as the Warriors swept and dominated the Cavs, convo about the new project from Kanye West and Kid Cudi, Donald Glover in the running to become the new Willy Wonka, reactions to the new Halloween trailer, talk about not 1, but 2 Joker movies possibly being in works, and President Trump Granting Clemency to a Grandmother after a visit from Kim Kardashian West. BlvdAve Radio Episodes air every Tuesday @ 7Pm on Logik Radio (www.wlgkradio.com) and is available on podcast platforms every weds ! As always the podcast version features a sports recap done by Saul Rodriguez aka @saul.r26 !